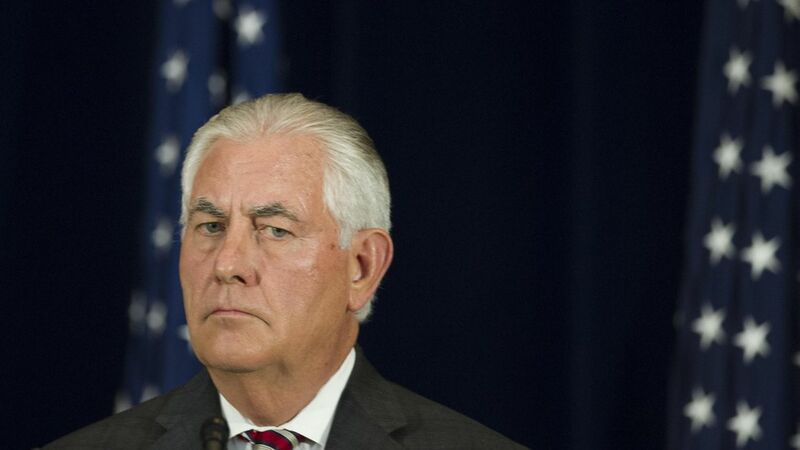 Secretary of State Rex Tillerson reassured Americans about the perceived threat from North Korea after it was revealed yesterday that they created a miniaturized ICBM missile capable of hitting the U.S.
"I do not believe that there is any imminent threat [from North Korea]," he said, per AP. "Americans should sleep well at night." Earlier this morning, the U.S. Air Force ensure they could "fight tonight" if needed, while taking off from Guam, Fox & Friends reported. North Korean state media suggested they were prepared to strike Guam last night.